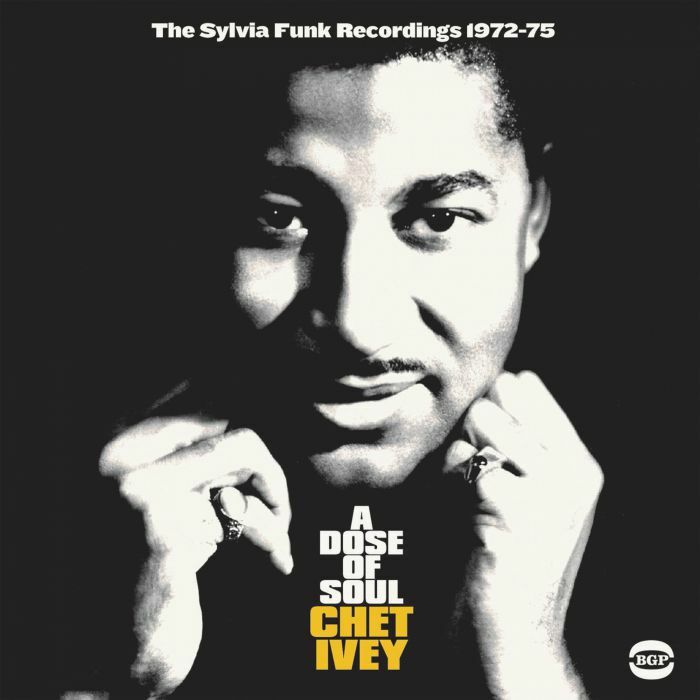 CHET IVEY-A DOSE OF SOUL-THE SYLVIA FUNK RECORDINGS 1972-1975. A Dose Of Soul-The Sylvia Funk Recordings 1972-1975. Most people won’t have heard of Chet Ivey. That’s despite him enjoying a recording career that spanned the best part of thirty years. It began in 1959 and continued until the mid-eighties. During that period, Chet Ivey released over thirty singles. The majority of these singles were released on small, independent labels.This included the seven singles Chet Ivy released on Al Sears’ Sylvia Records. They feature on a new compilation released by BGP, A Dose Of Soul-The Sylvia Funk Recordings 1972-1975. This marked a new start for Chet Ivey, who was born in North Carolina, in 1932. Chet Ivey was born in Roanoke Rapids, in North Carolina, on November ‘26th’ 1932. Both his parents were Sunday school teachers in a Baptist church. They had six seven children, one daughter and six sons. The Ivey family moved to Washington DC in the forties. That was home to Chet Ivey until he joined the US Army. The life of a soldier seemed to suit Chet Ivey. He spent several years in the US Army, serving in Germany and America. Chet Ivey won and the Good Conduct Medal and was promoted to Corporal Chet Ivey. By the late fifties, Corporal Chet Ivey was all set for a career change. He decided to embark upon a musical career. This was very different from life as a professional soldier. By June 1959, Chet Ivey’s recording career was preparing to release his debut single Tater Patch. It was about to be by released Atlantic Records’ subsidiary Atco. Chet had written both Tater Patch and the B-Side The Slop. He had also signed a publishing deal with Al Sears. However, when Tater Patch was released, the R&B single failed to find an audience. For Chet Ivey, this was a disappointing start to his nascent musical career. Despite the disappointing start to Chet Ivey’s career, he continued to release singles first on Atco, and then on ABC-Paramount. His first single for ABC-Paramount was Lady Bug which Chet cowrote with Jesse Stone. On the flip-side was another song Chet cowrote with Jesse Stone and Buddy Smith, Wash Your Feet. When Lady Bug was released in October 1961, history repeated itself and the single didn’t even come close to troubling the charts. This was the start of a familiar pattern. In March 1961, Chet “Poison” Ivey and The Fabulous Avengers released Let’s Do The Pony. This was one of many dance craze songs that were being released at this time. Artists were hoping their song would be the new Twist. Ironically, the B-Side Just A Little Bit Of Love was a better song. Both songs were penned by Chet and produced by Al Sears. He was beginning to play a more important part in Chet Ivey’s career. Despite this, the single flopped. This proved to be the last single Chet Ivey released on ABC-Paramount. Next stop for Chet Ivey was Al Sears’ new label Gator. Chet wrote Now We Must Part, which was released in the 1962 with Alpine Twist on the B-Side. Just like previous singles, Now We Must Part failed commercially. It proved to be Chet’s only release on the short-lived Gator label. With the Gator label consigned to musical history, Chet Ivey signed to Al Sears’ new label B & C. It had been founded to release Chet’s recordings. He helped run the nascent B & C imprint which was based in Washington DC. Some, if not all, the singles were recorded in New York, which was home to Ernie Hayes who produced Chet’s singles. This included his B & C debut single, the raw R&B of Keep On Keeping On. Just like previous singles, commercial success continued to elude Chet. Three years after releasing his debut single, Chet Ivey was no nearer to making a commercial breakthrough. Although Chet Ivey’s found an audience locally, they hadn’t attracted the attention of record buyers across America. Chet wasn’t going to give up though. He was determined to make a breakthrough, and released by 1964 had released a total of five singles on B & C.
For what should’ve been his sixth single for B & C, Chet Ivey had penned Something Else. When Al Sears heard the song, he thought it had the potential to transform Chet’s career. So he decided to release the single another of his other labels, Sylvia Records. Sadly, when Something Else was released, commercial success eluded the single, and Chet returned to the B & C label. The search for a hit continued, and in 1965, Chet Ivey released as his with single, a cover Lieber and Stoller’s Poison Ivy. When it was released in 1965, the song failed to make an impression on the charts. Six years after releasing his debut single, and still he was no closer to a hit single. By November 1968, Chet Ivey had released fourteen singles on B & C. Each single offered something different. When a single failed to find a wider audience, Chet Ivey changed direction. He tried releasing raw R&B, heart wrenching ballads and dance-floor friendly club soul. It was all to no avail. Then he caught a break when Al Sears was invited by Ray Charles to run his record label Tangerine Records. Al Sears knew Ray Charles from their time at ABC-Paramount. He had plenty of experience running record and publising companies. Ray Charles needed someone to run Tangerine Records, and his new publishing company. The man that fitted the bill was Al Sears. He accepted the new role and headed to Los Angeles. Soon, Tangerine Records were releasing a few Al Sears’ productions. One of them, was a new Chet Ivey composition, Shake A Poo Poo. 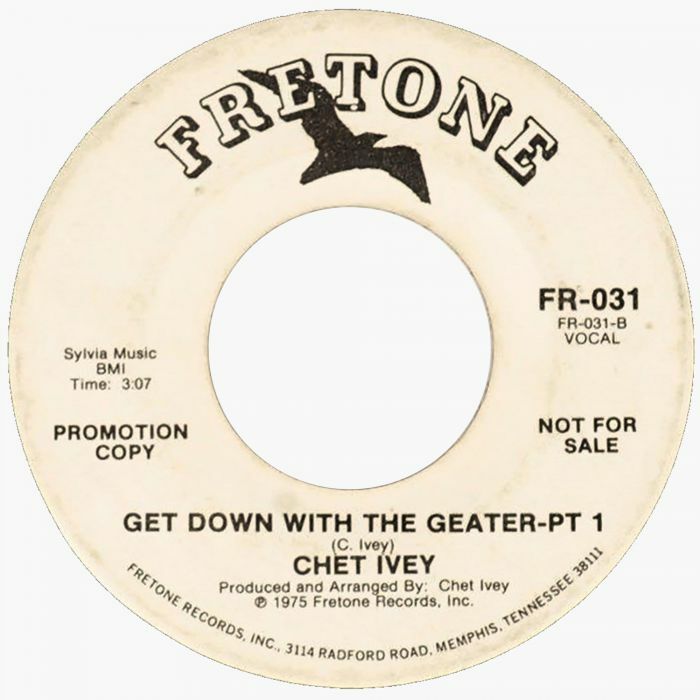 This was about to be released in November 1968 as Chet’s new single. Al Sears would hoped that this would result in a new dance craze. Publicity photos were sent out to the press and the single was released. However, music had changed since dance crazes were all the rage in early sixties. By 1968, psychedelia was King. Still, Al Sears and Chet Ivey still thought that writing a song that spurned a new dance craze was the answer to their problems. It wasn’t. Shake A Poo Poo sunk without trace. For Chet this was a disaster. With Al Sears living in LA, and concentrating on Tangerine Records, his own labels weren’t releasing much in the way of music. In 1969, B & C released The Poo Poo Man by Chet “Poison” Ivey And His Fabulous Avengers. This was the fifteenth single that Chet had released on B & C. It followed in the footsteps of the other fourteen, and failed to chart. It was the end of era for Chet Ivey. By 1969, Chet Ivey had released fifteen singles for B & C between 1962 and 1969. While the singles were popular locally, they failed to find an audience further afield. Fortunately, he was a popular live draw and was a familiar face on the live circuit. That was where he spent much of the next three years. After four years in LA, Al Sears returned home and revived Sylvia Records. One of his first signings was Chet Ivey. He would release seven singles between 1972 and 1975. They feature on A Dose Of Soul-The Sylvia Funk Recordings 1972-1975. The first single that Chet “Poison” Ivey And His Fabulous Avengers released on the revived Sylvia Records was Funky Chit Chat (Part I). On the flip-side was Funky Chit Chat (Part II). Both sides were written by Chet Ivey. He arranged and produced the two sides at Sigma Sound Studios in Philadelphia, on April ‘17th’ 1972. Later in 1972, Funky Chit Chat (Part I) was released as a single. It’s best described as sixties R&B meets James Brown’s 1970 single Hey America. Despite being bang on trend, Chet’s adventure in funk was no more than a regional success. Still, Chet Ivey was looking for that elusive hit single. Later in 1972, Chet “Poison” Ivey And His Fabulous Avengers returned with a new single, So Fine. This was a cover of The Fiestas 1959 single. It was given a funky, soulful makeover. Then on the B-Side was Bad On Bad, there’s a nod to James Brown, as Chet sings, raps and vamps while the His Fabulous Avengers reach new heights of funkiness. When So Fine was released in 1972, it was popular locally, but failed to find a wider audience. Late in 1972, Chet “Poison” Ivey And His Fabulous Avengers released the instrumental Don’t Ever Change. Chet unleashes a tenor saxophone solo above the Hammond organ driven groove. It’s akin to a funk masterclass from Chet “Poison” Ivey And His Fabulous Avengers. The B-Side Been So Long is a much more soulful sounding, mid-tempo song. There’s still a funky side to Been So Long, as the horns interject and accompany Chet. Don’t Ever Change was released late in 1972, it passed record buyers by. This was the last that was heard of Chet “Poison” Ivey And His Fabulous Avengers until 1974. By 1972, Chet Ivey’s had embarked upon an alternative career as a radio DJ. He took over the 9-11 slot at WANN in 1972, and hosted the program until he became program controller. However, in 1974, Chet “Poison” Ivey And His Fabulous Avengers returned with a new single. This was Dose Of Soul, which was recorded in Sigma Sound Studios in Philadelphia. Although funky and soulful, there’s a slicker, disco influence on Dose Of Soul. On the B-Side, was Get Down With The Geater Pt 1. It featured Chet “Poison” Ivey And His Fabulous Avengers’ old funky sound. The two different sides of Chet “Poison” Ivey And His Fabulous Avengers sat side-by-side. Despite the change in direction, Dose Of Soul wasn’t the commercial success that Al Sears and Chet hoped. For Chet Ivey, it was a case of back to the drawing board. In 1975, Chet “Poison” Ivey And His Fabulous Avengers returned with a new single, Party People. This was a six minute epic, spread across two sides of the single. Party People Pt 1 was chosen as the single, and had a cinematic, dance-floor friendly sound. It may have sounded as if it belonged on a Blaxploitation soundtrack, but it was also a track that should’ve filled dance-floors. Alas, when Party People Pt 1 was released, the single failed commercially. For Chet this was a huge blow, it was the finest moment of Chet “Poison” Ivey And His Fabulous Avengers’ career at Sylvia Records. Sadly, Chet’s time was about to come to an end. Having gotten over the disappointment of the commercial failure of Party People Pt 1, Chet “Poison” Ivey And His Fabulous Avengers returned with another two part single, Recipe To Get Down Part 1 and 2. It was released later in 1975. Recipe To Get Down Pt 1 was slick, soulful, funky and dance-floor friendly. 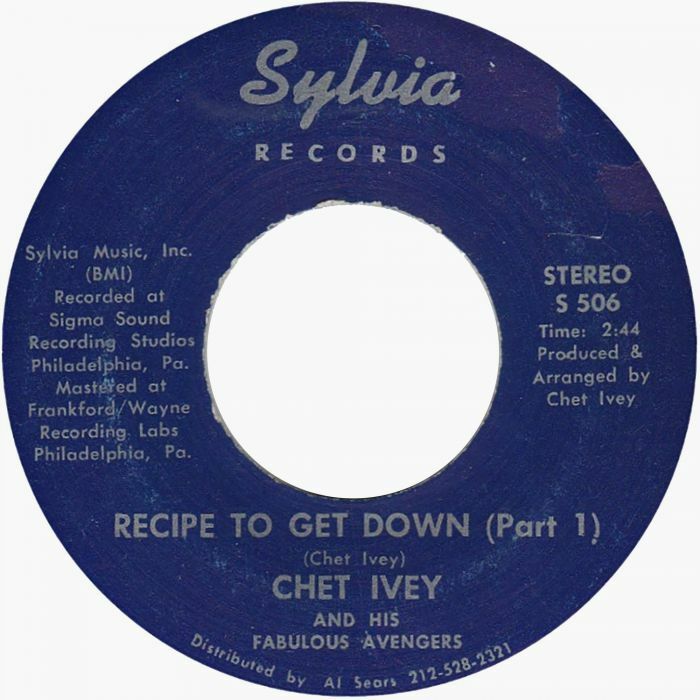 Just like Party People Pt 1, Recipe To Get Down Part 1 should’ve transformed the fortune of Chet “Poison” Ivey And His Fabulous Avengers. Here was a single that should’ve appeared to DJs and dancers. Unfortunately, Recipe To Get Down Part 1 failed commercially. This was Chet “Poison” Ivey And His Fabulous Avengers’ seventh single that failed commercially. For Chet “Poison” Ivey And His Fabulous Avengers it was the end of their time at Sylvia Records. 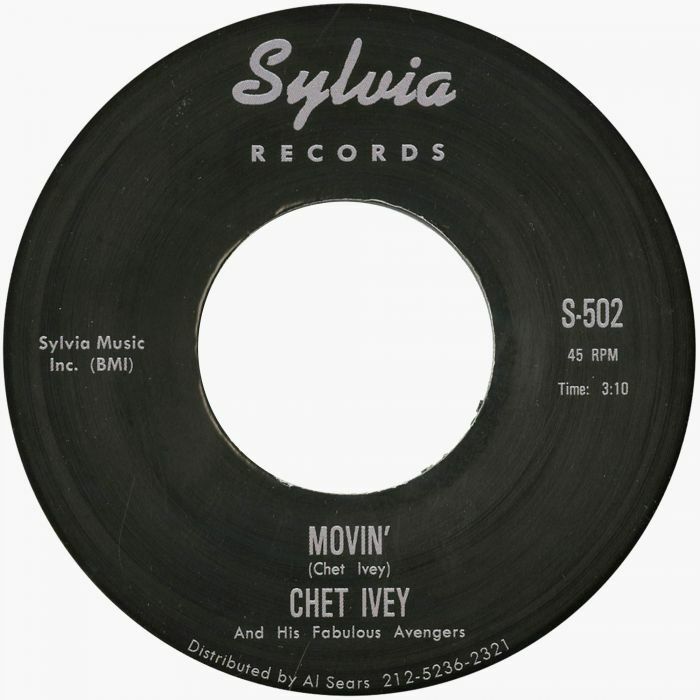 The only other single the members of Chet Ivey recorded for Sylvia Records was One More Sunset. When it was released in the late-seventies, it bore the name Windell Ivey. The song became popular amongst club DJs. However, One More Sunset doesn’t feature on A Dose Of Soul-The Sylvia Funk Recordings 1972-1975. Four other tracks make an appearance on A Dose Of Soul-The Sylvia Funk Recordings 1972-1975. The first is He Say She Say, which made its debut on BGP’s compilation The Mighty Superfunk in 2008. The other three tracks are alternate versions Get Down With The Geater, Chit Chat and Bad On Bad. This funky trio are welcome additions to A Dose Of Soul-The Sylvia Funk Recordings 1972-1975. It’s a reminder of Chet “Poison” Ivey And His Fabulous Avengers when they released some of the best singles of their long career. Sadly, these singles failed to find a wider audience. Instead, they proved popular locally, and were regularly played by radio stations in the Maryland area. That was as good as it got for Chet “Poison” Ivey And His Fabulous Avengers. The former soldier turned bandleader, singer, songwriter and saxophonist rereleased over thirty singles, but never made the commercial breakthrough his music deserved. Although commercial success eluded Chet Ivey, working in radio allowed him to remain involved in music for much of his life. When his radio career came to an end, Chet Ivey worked for several companies. His last job was with the US Department Of Transport, where he received several commendations. Just like his time in the US Army, Chet Ivey was highly regarded and respected by his contemporaries and peers. Sadly, Chet Ivey died on the ‘10th’ May 2007, aged seventy-four. He had dedicated much of his life to music, and but sadly, neither enjoyed the commercial nor received the critical acclaim his music deserved. The release by BGP, an imprint of Ace Records, of A Dose Of Soul-The Sylvia Funk Recordings 1972-1975 is the perfect opportunity to discover the truly talented bandleader, singer, songwriter and saxophonist, Chet Ivey. ← LOVIN’ MIGHTY FIRE: NIPPON FUNK, SOUL, DISCO 1973-1983.